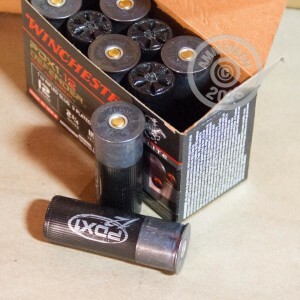 This hybrid load from Winchester's PDX1 self-defense series is designed to provide a versatile self-defense option for your 12 gauge shotgun. It combines a heavy one ounce slug with three pellets of 00 buck to deliver effective performance at various ranges. This configuration significantly increases hit probability as well, an important factor in stressful situations. 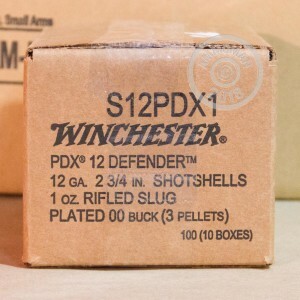 Winchester PDX1 self-defense ammunition is a proven choice used by many CCW licensees, homeowners, and police officers around the country. Made to tight tolerances at Winchester's state of the art facility in Oxford, Mississippi, PDX1 ammo is designed to provide maximum reliability and strong terminal performance in life-threatening encounters.